Great, nearly there! We don't need the rotate icon under figures but the icon itself is great. 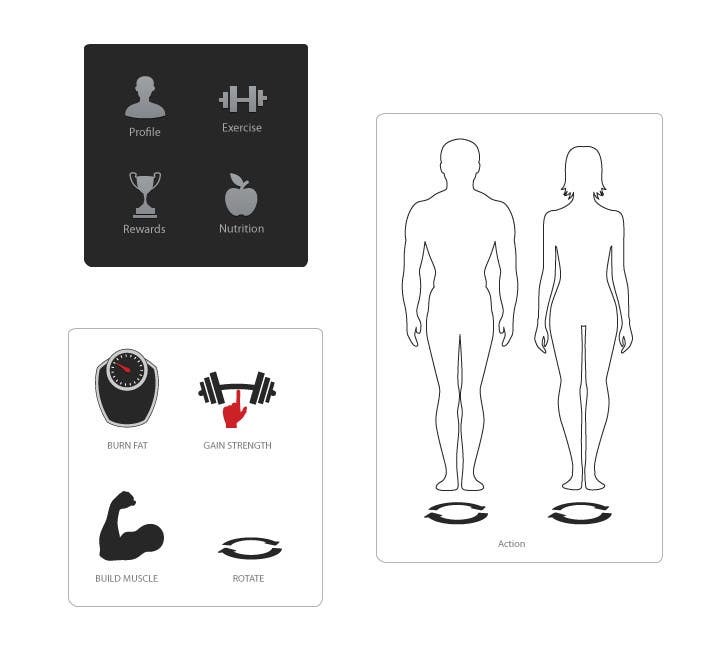 Could you add maybe a flame to the burn fat icon?